Two shows that are completely different but always brighten February winter days and nights are the Chicago Auto Show at McCormick Place and the Orchid Show at the Chicago Botanic Garden. Both start the second weekend in February. It’s understandable that the Chicago Auto Show has to be held at McCormick Place. It is the largest of its kind in North America. That means there is space to space to show off new cars, experimental cars, antique cars and accessories and to test drive some cars (different makes on different days. Visit Interactive Displays to learn about the test tracks. 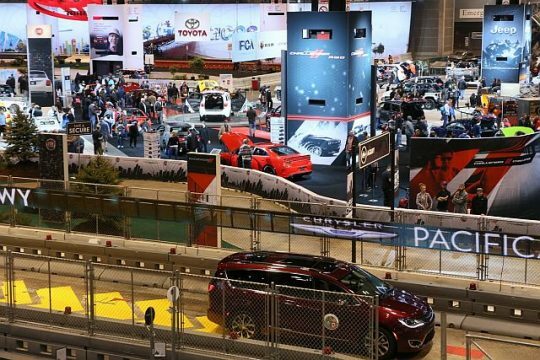 Details: The Auto show runs from Feb 9 to Feb. 18, 2019 from 10 a.m. to 10 p.m. except closes at 8 p.m. Feb. 18. Admission is $13 adults, $7 age 62 and older and ages 7-12 and free to age 6 and younger if accompanied by an adult family member. McCormick Place is at 2301 S. Lake Shore Dr., Chicago. Go at night after work. Go in the morning to take photos. Go to get orchid advice from experts. And go to buy an orchid. 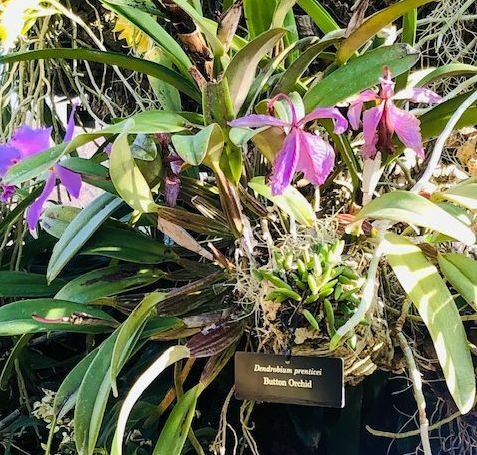 But for sure go to be surrounded by more than 10,000 orchids hanging from trees in the greenhouses and lining the rooms and corridors of the Regenstein Center. The theme this year is “In the Tropics.” So let orchids transport you to South Pacific islands or the Amazon’s rain forests. Bromeliads and birds of paradise add color to the show’s lush landscape. To find out when to go night or day and about other show activities and bonuses visit Chicago Botanic Orchid. Details: The CBG Orchid Show runs from Feb. 9 through March 24. Garden admission is free but there is a parking fee. The show’s cost is Adults $12 (members $10), ages 3-12 $10 (members hildren $8). The Chicago Botanic Garden is at 1000 Lake Cook Road, Glencoe, IL 60022. For tickets and other information call call (847) 835-5440 or visit CBG.